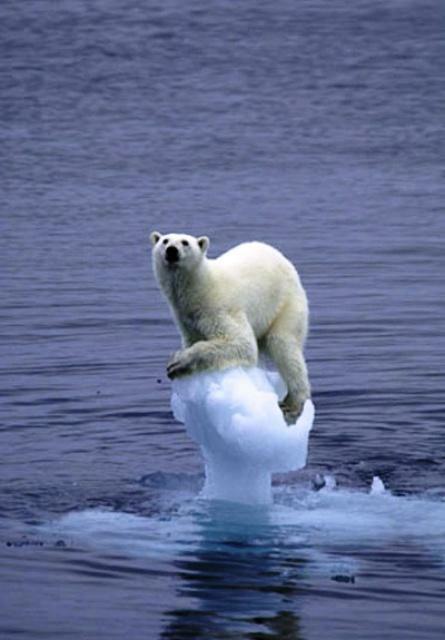 The Question – How much is the human influence on climate changing, owing to continued emission of greenhouse gases? The NOAA Annual Greenhouse Gas Index (AGGI) measures the commitment society has already made to living in a changing climate. 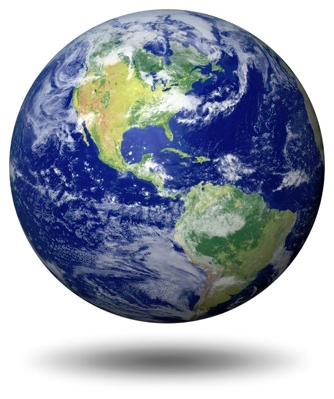 It is based on the highest quality atmospheric observations from sites around the world. Its uncertainty is very low. The AGGI is analogous to the dial on an electric blanket. Just as the dial does not tell you exactly how hot you will get, the AGGI does not predict how much Earth’s climate will warm. 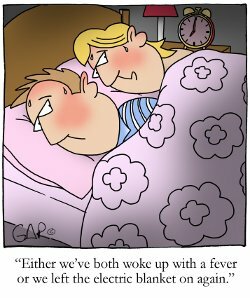 You do know, however, that if the dial is turned up a little, the blanket will get warmer – and not immediately. 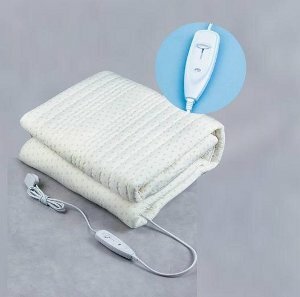 If you turn it up a lot, you know the blanket will get a lot warmer – eventually. 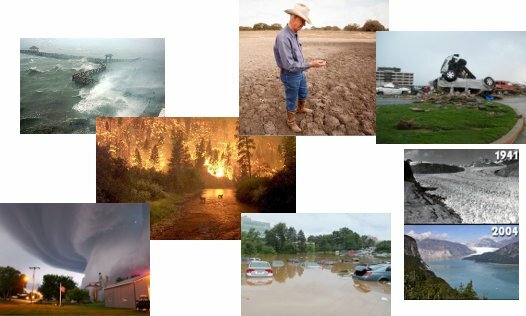 Of course, the Earth System is more complicated than an electric blanket and climate change is expressed in many ways – e.g., drought, increased temperatures, altered storm patterns and precipitation rates, increased glacier melting, etc. But each year the increasing AGGI reminds us that our on-going emission of long-lived greenhouse gases results in more of the sun’s heat being trapped in the Earth system. In essence, we continue to increase the setting on Earth’s “thermostat” by a small amount every year. 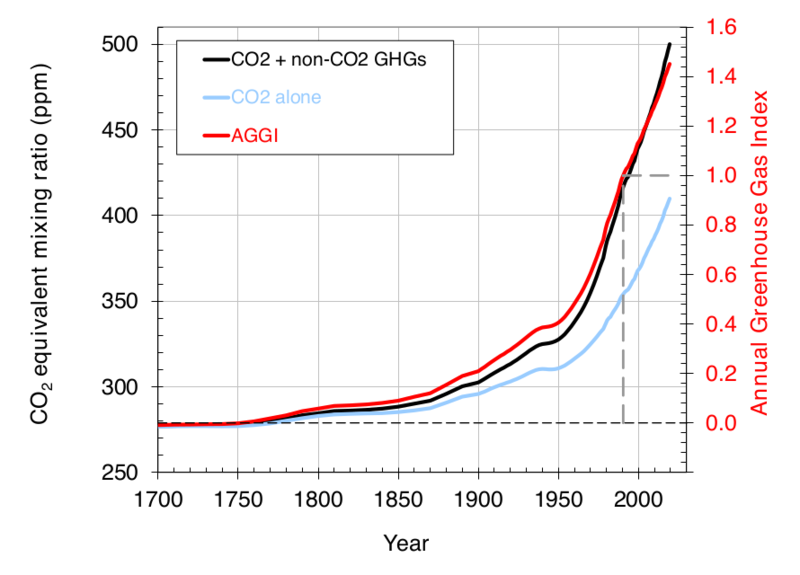 So, how much did the warming influence from GHGs increase last year? What gases contribute most to the change each year? From 2016 to 2017 the dial increased another 1.6% relative to 1990 levels, a rate that has been sustained for many years. The AGGI in 2017 was 1.41, which means that we’ve turned up the warming influence by 41% since 1990. It took ~240 years for the AGGI to go from 0 to 1, i.e., to reach 100%, and 26 years for it to increase by another 41%. In terms of CO2 equivalents, the atmosphere in 2017 contained 493 ppm, of which 405 is CO2 alone. The rest comes from other gases. 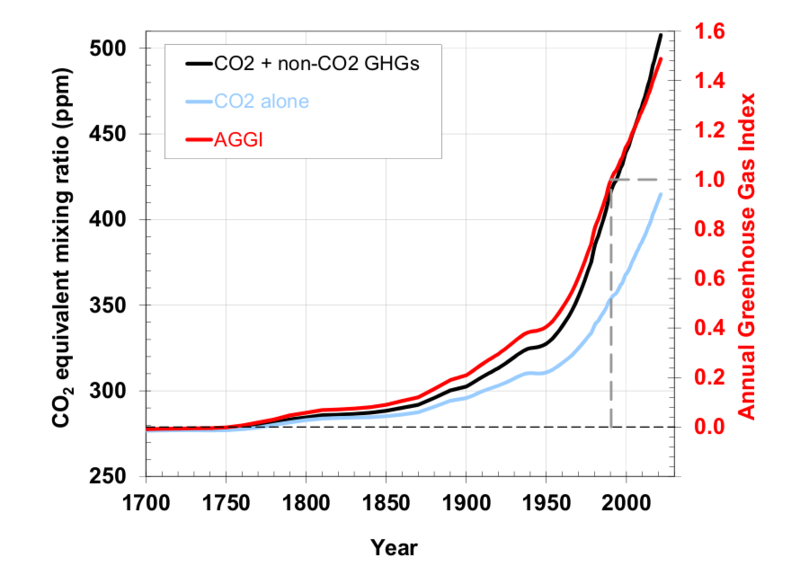 CO2 is by far the largest contributor to the AGGI in terms of both amount and rate of increase. 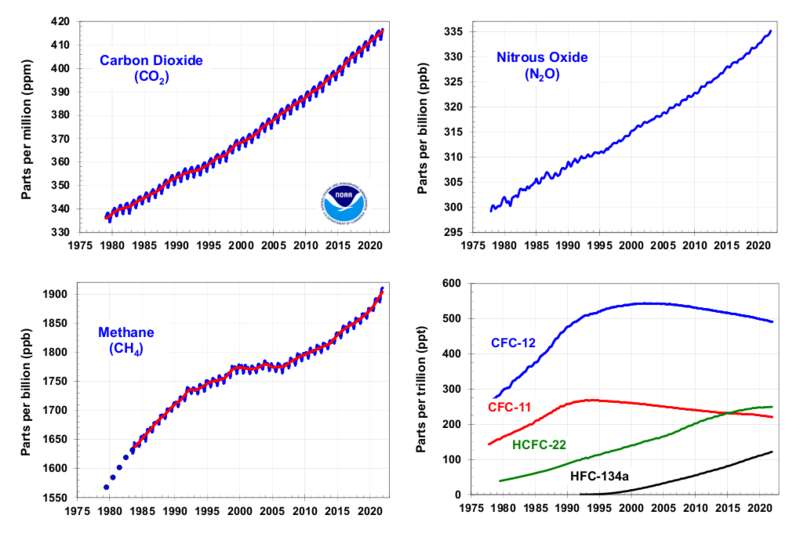 Note: The IPCC suggests that a constant concentration of CO2 alone at 550 ppm would lead to an average increase in Earth’s temperature of ~3°C (5.4°F).